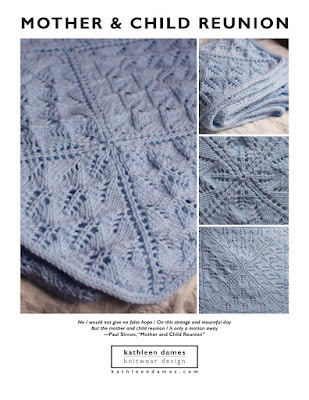 Have you ever or are you planning to knit An Aran for Frederick? How about a few lovely FOs for inspiration? I love James's manly version in Beaverslide Dry Goods Merino/Mohair. Tahirih went all curvy and dropped the neckline on her version. Did anyone see her at Rhinebeck 2014? How handsome is Adrianne's son in this version? And the Wensleydale Longwool Aran looks amazing. 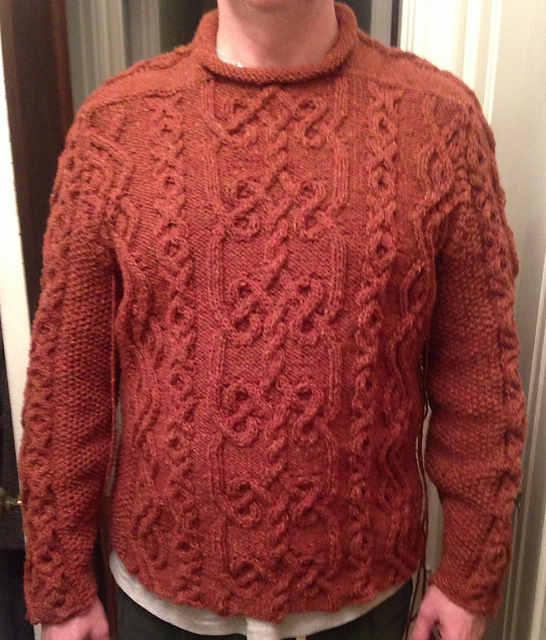 All images from the projects' Ravelry pages. No copyright infringement intended - just want to share the love and appreciation! Have you knit up one of my designs? I'd love to share it with all of my readers. 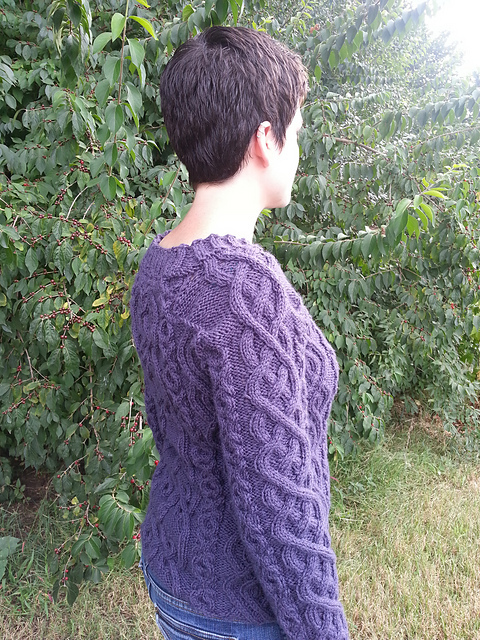 Let me know when you've posted an FO photo on Ravelry, and I'll feature it in an upcoming blog post so other readers can be inspired. Aw, thanks, Anne. What I really love is how everyone has made theirs so personal and unique.